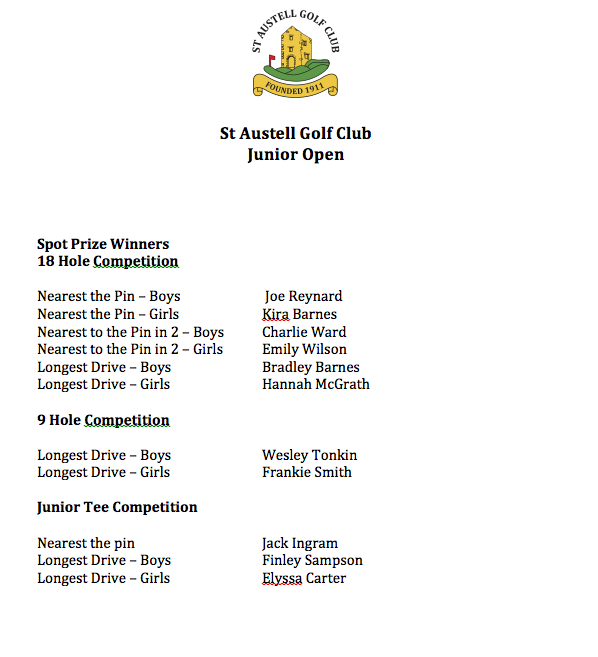 What a busy day… we had over 100 junior golfers play across 7 different competitions. We had a putting comp, a greenkeeper revenge chipping comp, and the infamous cross bar challenge. We also hosted the CGU U12 Mini Tour as their series of 5 came to an end. We were even lucky enough to have a computer crash, 2 stressed Junior Organisers and 3 DQ’s to manage… However we got there in the end. 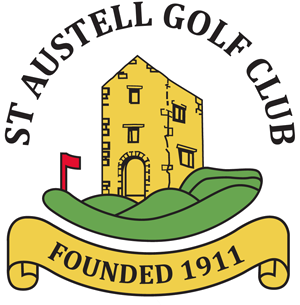 We also had a lot of help – Jan and Jo on the desk, Donna as First Aid, numerous members as marshalls, the catering staff, Barry and Alan as starters, Dave Drewett on the putting comp, Simon on chipping, Paul on cards and Tim keeping me sane….. However, congratulations to Maddie who won the girls stableford, Hannah for coming second, Jack Ingram for winning nearest to the pin, and Frankie for winning the longest drive in her Section. And of course Max Gay for scoring 41 points in the stableford and coming third. 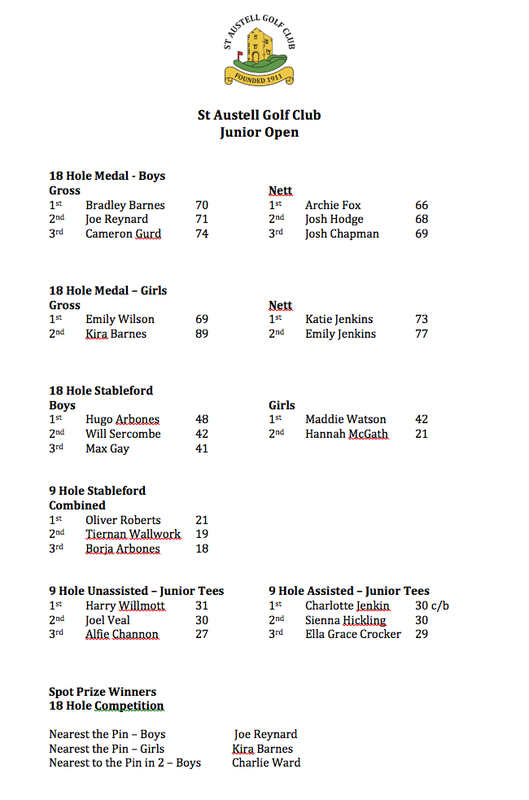 Full actual results are available on www.howdidido.co.uk for the 18 hole events.